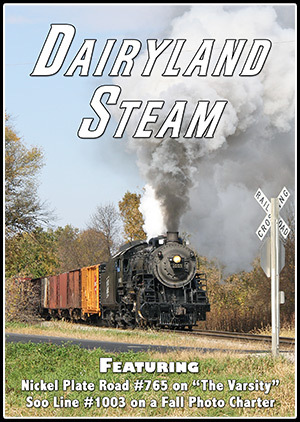 In 2016 the sounds of steam echoed through America's Dairyland, as two mainline locomotives polished the rails of southern Wisconsin. 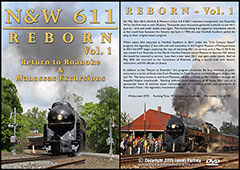 On Sunday June 12th, Nickel Plate Road 2-8-4 #765 pulled "The Varsity" excursion from North Glenview, IL (north of Chicago) to Janesville, WI. #765 handled an 18-car train over this former Milwaukee Road route, running on both Metra and the Wisconsin & Southern Railroad. The highlight of the trip was the high speed running on Metra, and you'll see a 70mph runby on the return trip! Soo Line 2-8-2 #1003 also operated on the Wisconsin & Southern in 2016, running from Hartford to Randolph, WI during a 2-day photo charter in October. This was a rare opportunity to see #1003 under steam, as in recent years this beautifully restored Mikado only operates a couple of time a year. 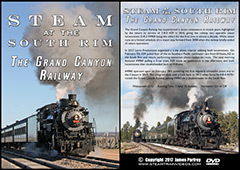 The trip was organized by Historic Transport Preservation and took place during the weekend of October 22nd. #1003 pulled a short freight train on both days, performing numerous runbys, including a quite a few at 40mph. You'll see #1003 amidst the bucolic Wisconsin countryside, highlighted by a stunning sequence of sunset shots at Beaver Dam Lake. 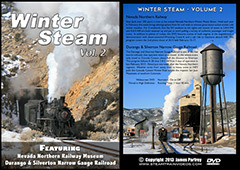 As an added bonus, we'll take a brief look back at two other locomotives with ties to the state of Wisconsin. In May of 2013, Milwaukee Road 4-8-4 #261 operated her first excursion since 2008, a 2-day trip from Minneapolis to Duluth, MN. She met up with Soo Line 4-6-2 #2719 at the Lake Superior Railroad Museum in Duluth, and you'll see #2719 on a dinner train to Palmers, MN in addition to both days of #261's trip. 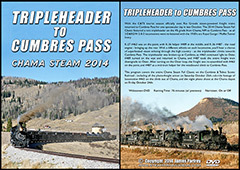 Filmed entirely in HD, this program showcases a diverse assortment of big steam power operating in the Upper Midwest. 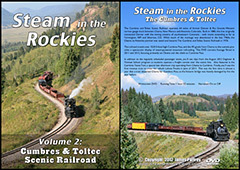 It features great sound and beautiful scenery, and should appeal to any fan of midwestern steam. This program has minimal narration (with the option to turn it on or off) and no distracting music. 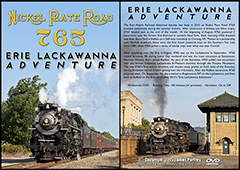 After pulling a weekend of trips in western New York, the Fort Wayne Railroad Historical Society brought Nickel Plate Road #765 to Allentown, PA for 2 days of excursions in late August. 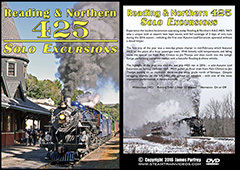 Operating over a combination of Norfolk Southern and Reading & Northern trackage, #765 pulled 2 roundtrips between Allentown and Pittston, PA on the former Lehigh Valley mainline. #765 hadn't been this far east since the 1988 NRHS convention, and it was the first time she operated over this portion of the Lehigh Valley. 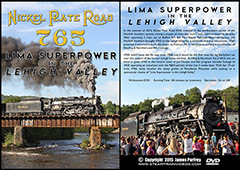 This program covers the August 22nd and 23rd "Lehigh Gorge Special" excursions. 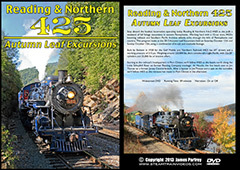 These trips operated over the western end of Norfolk Southern's Lehigh Line, then through the Lehigh Gorge and over Penobscot Mountain on the Reading & Northern Railroad. 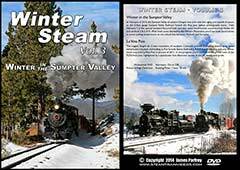 After turning the train in Pittston, #765 climbed the steeper eastbound grade to Solomon's Gap, before stopping for a layover in Jim Thorpe in the late afternoon. 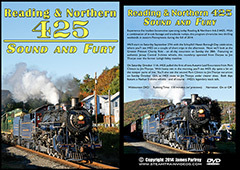 Reading & Northern 4-6-2 #425 was in town to greet #765, and you'll see the two locomotives exchanging whistle salutes on August 22nd. 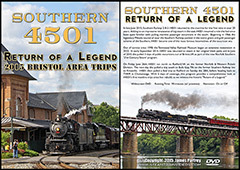 You'll also see footage of #425 pulling the "Greater Pittston Charity Ride"' on September 13th. 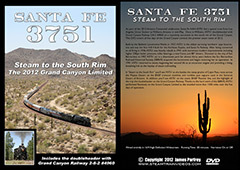 This trip operated from Pittston to Jim Thorpe, 3 weeks after #765 ran over the same route. Loud as ever, #425 put on a spectacular show and you'll see footage from inside the cab in addition to the usual trackside runbys. 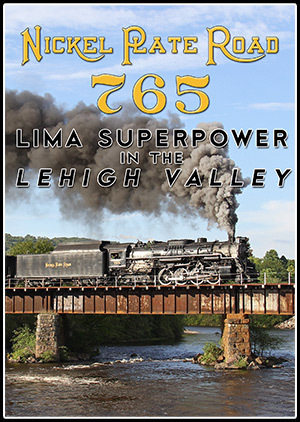 Filmed entirely in HD, this program showcases Lima Superpower amidst the mountains of eastern Pennsylvania. 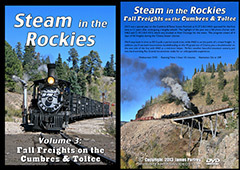 Featuring two of the best sounding engines in service today, this program is full of great stack talk and sweet-sounding whistles. 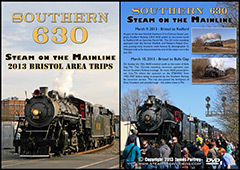 Mainline steam returned to the Empire State in 2015, thanks to a partnership between Norfolk Southern and the Fort Wayne Railroad Historical Society. 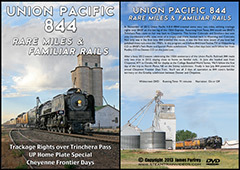 As part of a lengthy eastern tour, Nickel Plate Road 2-8-4 #765 visited western New York for the first time since the late 1980's. During the first weekend of August, she operated a series of excursions over the former Erie Railroad between Buffalo and Corning, NY. Then in September, #765 was in Scranton, PA for the first time, operating over the former Lackawanna mainline through the Pocono Mountains. 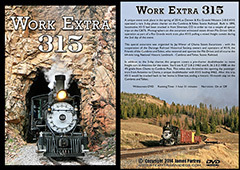 The first half of this program covers the "Erie Limited" excursions in western New York. Operating over the NS Southern Tier Line, #765 pulled a couple of 260-mile roundtrips between Buffalo and Corning on August 1st and 2nd. #765 put on a grand show, easily pulling a 20-car train on this scenic line. In addition to the 2 public excursions, you'll see the August 3rd ferry move from Buffalo to Binghamton as #765 traveled to eastern Pennsylvania for trips later in the month. 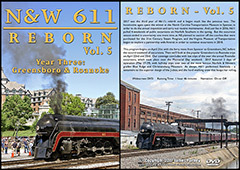 The second half of this program chronicles #765's first visit to Steamtown National Historic Site in Scranton, PA. During the annual Railfest, #765 pulled a couple of trips over the former Delaware, Lackawanna, & Western mainline. 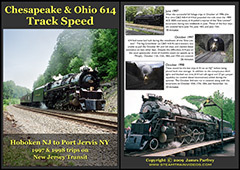 You'll see both the September 5th trip to the Delaware Water Gap and the September 7th trip to East Stroudsburg, as #765 climbed the long steep grades on both sides of the Pocono plateau. Finally, this program concludes with the September 8th ferry move back to Buffalo, as #765 crossed the famous Tunkhannock Viaduct in Nicholson, PA. 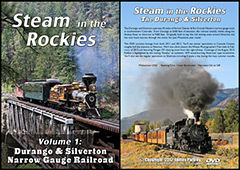 The second segment of the program covers the Cascade Canyon Winter Train on the Durango & Silverton Narrow Gauge Railroad. 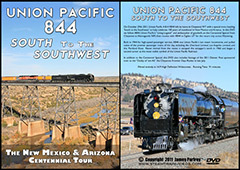 K-28 class 2-8-2 #473 was the power for three days of regularly scheduled trains in late February 2013. 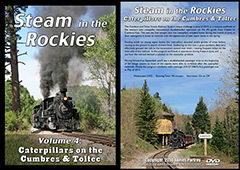 The weather varied from sunny skies to heavy snow, and you'll see #473 working hard amidst the beautiful San Juan Mountains of southwestern Colorado. 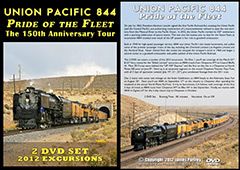 Filmed entirely in HD, this program features high speed running and great scenery, as #765 gets to stretch her legs on the mainline in New York. 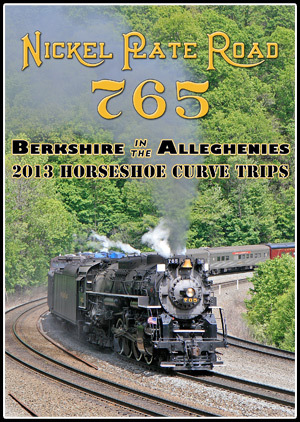 There's also lots of great stack talk, as #765 battles two major mountain grades while in Pennsylvania. 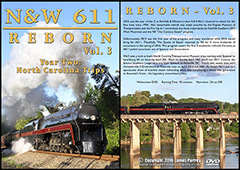 As part of the new Norfolk Southern '21st Century Steam' program, Nickel Plate Road Berkshire-type locomotive (2-8-4) #765 pulled 3-days of public excursions over the 2013 Memorial Day weekend. 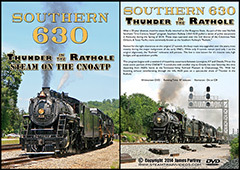 These trips operated over Horseshoe Curve, the famed Allegheny Mountain crossing of the mighty Pennsylvania Railroad - the self-proclaimed "Standard Railroad of the World." 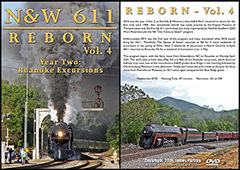 This was the most anticipated steam event of 2013, as #765 pulled the first public steam-powered excursions over Horseshoe Curve since 1977. 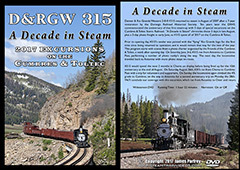 Thanks to Norfolk Southern and the Fort Wayne Railroad Historical Society, passengers on board and those gathered trackside were able to experience steam on this legendary stretch of railroad. Early each morning #765 left Harrisburg and traveled west along the Juniata River to Lewistown, where passengers would board. 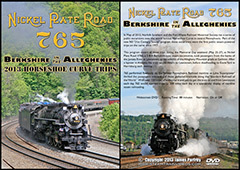 #765 then continued her gradual climb to Altoona, where the grade steepens in order to tackle the Allegheny Mountains. After passing Horseshoe Curve and cresting the summit at Gallitzin, the train returned to Altoona for a layover, before bringing the passengers back to Lewistown. 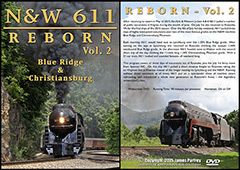 Finally in the late afternoon, #765 would head back to Harrisburg to spend the night in Enola Yard, with the train being wyed on the famous Rockville Bridge. 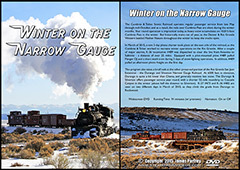 This necessitated dawn to dusk operation, as #765 traveled almost 300 miles each day. 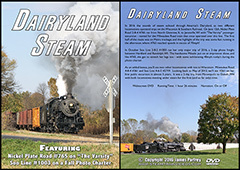 In this program, you'll see #765 in a variety of trackside locations on all 3 days of operation, including the daily ferry moves to and from Enola Yard in Harrisburg. 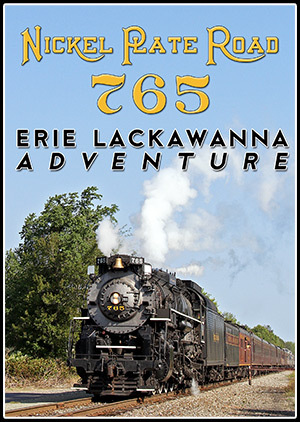 In addition to the many runbys along the line, you'll see #765 during stops in Lewistown, Altoona, and Gallitzin. #765 put on a great show all weekend, pulling her 17-car train with ease over the busy NS Pittsburgh Line. 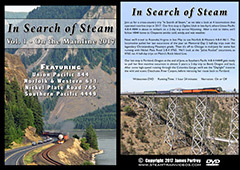 Filmed entirely in HD, this program features high speed running and great stack talk, as #765 gets to stretch her legs on the mainline.